Bright and Cheery. Long lasting. Always Popular. Widely available. This cheery basket is a welcome sight. 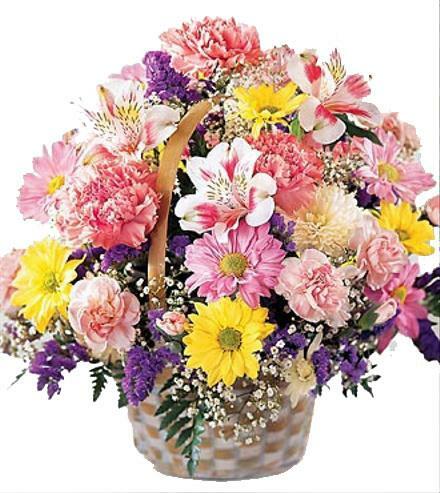 Bright and fragrant pink carnations, lavender and yellow daisy pompoms, with white and purple accents are arranged in a wicker basket. The perfect gift for any occasion.. Centerpiece Arrangement - Traditional Basket of Cheer.